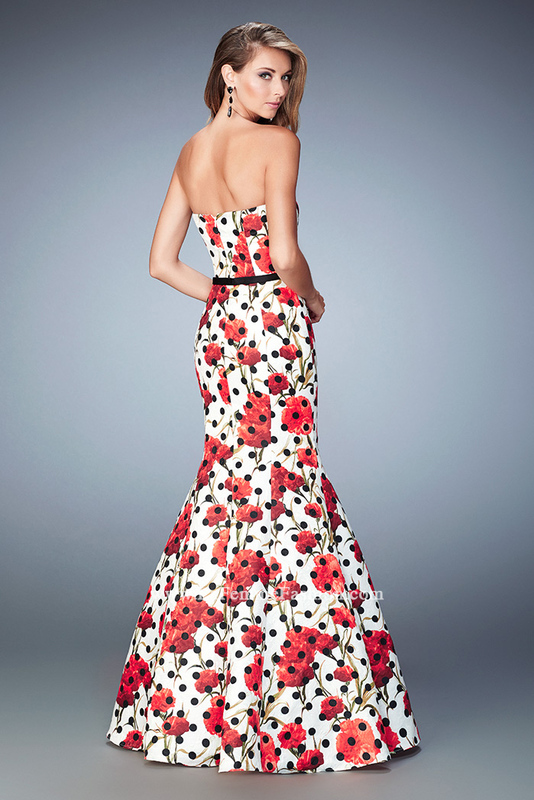 Beautiful jacquard mermaid gown with an all over flower and polka dot print. The gown features a sweetheart neckline and solid waistband. Back zipper closure.